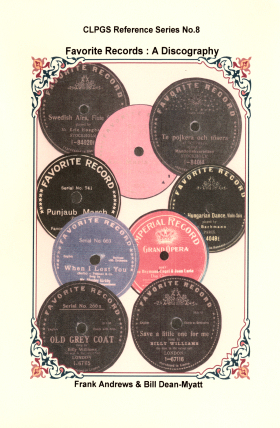 Company Schallplatten-Favorite GmbH (shortly Favorite Record) was founded in Hannover in the beginning of 1904. The first owners were Otto Multhaupt and Fritz Kindermann. 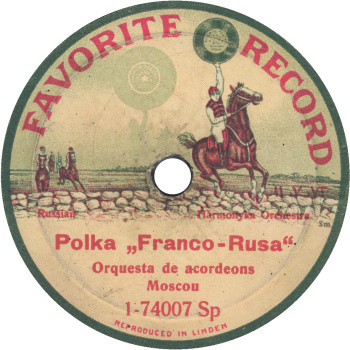 For the very first time Favorite Record was mentioned in Russian media as early as 1905 in“Light and Sound” magazine. 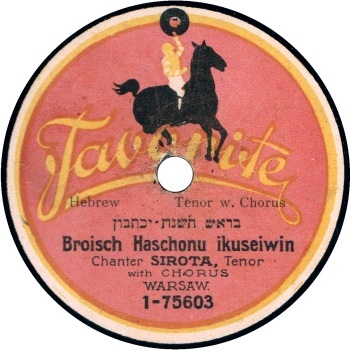 In the next year “The Gramophone and Photography ” magazine informs that for Favorite Record in Berlin work former engineers from “Gamophone” company. 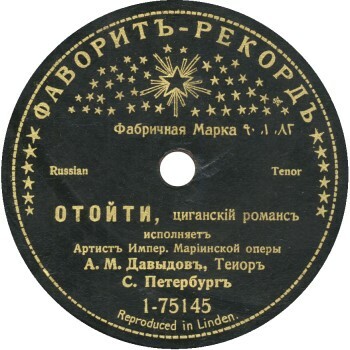 Later, “Grammofonnij Mir (The Gramophone World)” announces “the chief representative for Russia” as Mr. M. Pushet and his address: Warsaw, Nalevki 2, Simpson’s Mall. 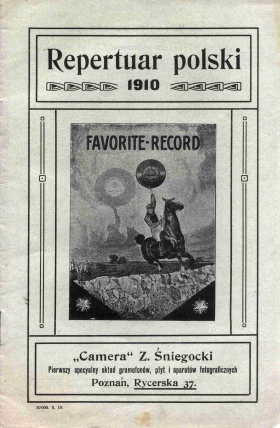 In 1913, company Favorite Record partially, and in 1915 completely absorbed by Carl Lindström group. Gössel, Gabriel Fonogram 2 / Výlety k počátkům historie záznamu zvuku. 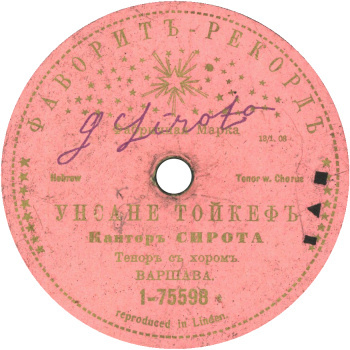 стр.402. Found: 1230+ 9 item(s) on 7 page(s). Displayed: item 1 to 200. Коронационный марш из оперы "Пророк"
Вальс из оперет. 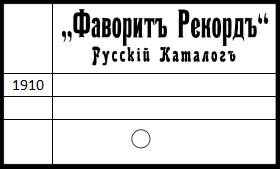 "Корневильские колокола"